﻿ Government to rollout Diaspora Policy | Embassy of the Republic of Zambia in Washington, D.C.
Dr. Simbyakula says Government recognizes the diaspora as a key stakeholder in accelerating efforts towards vision 2030 of developing Zambia without leaving anyone behind. 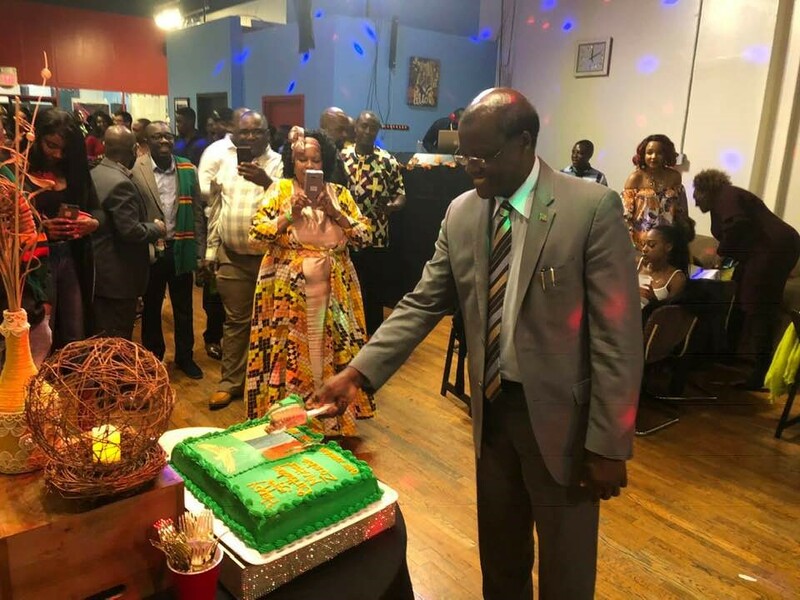 The Ambassador said this during the commemoration of Zambia’s 54th Independence anniversary organized by the Association of Zambians in the tripartite State of District of Columbia, Maryland and Virginia held in Rockville, Maryland. Dr. Simbyakula says through the Diaspora Policy, Government seeks to develop modalities on how to engage the Zambian diaspora on issues relating to dual citizenship, remittances, trade and investment, political participation and acquisition of land among others. “And in recognizing the diaspora as key stakeholder in the country’s development, Government has developed a Diaspora Policy which will soon to be rolled-out. Some of the policies relating to this are now being actualized and Dual citizenship is a case in point,” Dr Simbyakula said. He further called on Zambians living in the diaspora to reflect on utilizing skills they have acquired to contribute to national development and urged them to live exemplary lives as Zambia’s first line ambassadors.